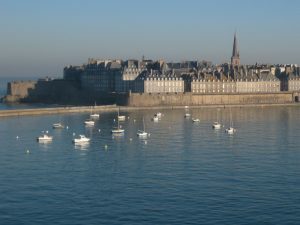 Jean-Marie de la Mennais was born on September 8th, 1780 in Saint-Malo where his father was a ship-owner. Repeatedly at the time of the scarcities, this one armed the ships to meet the needs for the Saint-Malo region by selling at a loss some wheat, linseeds and hemp. The childhood of Jean-Marie was marked by the French Revolution. Young teenager in the time of the Terror, he often showed boldness and generosity to help the persecuted priests. He studied only by benefiting from the vast culture of his uncle and he deepened his faith thanks to the spiritual accompaniment of Frs. Engerran and Vielle. 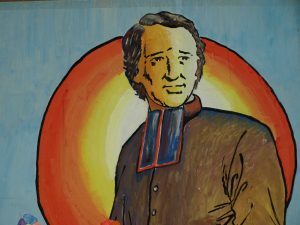 He was ordained priest on February 25th, 1804 in Rennes. During several years, he accumulated in Saint-Malo the responsibility of Vicar of the cathedral and teacher at the Seminary. Exhausted, he was obliged to rest. With his brother Félicité, he took advantage of it to complete his personal formation: at the manor house of La Chesnaie, he studied philosophy, ancient languages, and the Fathers of the Church … Together, they published two books which created a sensation: ” Reflections on the state of the Church in France ” and “ Tradition of the Church on the institution of bishops “. This intellectual and fertile period where sprang out an audacious plan for the revival of the faith in France will inspire his future great actions. He took back his priestly service in Saint-Malo. But, in 1813, on order of Napoleon, the Seminary had to close; the family company, ruined by the Continental Blocus, went bankrupt. Abbot Jean took care of the liquidation of the properties and became free: he accepted the Bishop of Saint-Brieuc ‘s offer who called him as Secretary. At the beginning of 1815, the Bishop of Saint-Brieuc suddenly died. At the age of 35, Jean-Marie de la Mennais was placed at the head of the diocese for a period of five years. Under his impulse, Christian life was reborn: he organised the ecclesiastical retreats, led the popular missions, supported monastic life, reformed seminaries. But the youth worried him excessively: in Saint-Brieuc, he was the direct witness of crime; he was convinced that education becomes a priority for his time. In 1819, he began to gather some young people to form them to become Primary school teachers. Three years earlier, in Auray, Fr. Gabriel Deshayes preceded him in a similar project. On June 6th, 1819, they contracted a pact of union: it was the origin of the Institute of the Brothers of Christian Instruction. 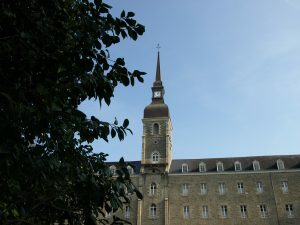 In November, 1819, a new Bishop was established in Saint-Brieuc; Jean-Marie de la Mennais assisted him and then accepted the function of Vicar-general of the Grand Chaplaincy in Paris where he contributed, for two years, to the appointment of the Bishops of France and the military Chaplains. On November 16th, 1824, Jean-Marie de la Mennais settled down in Ploërmel in the former convent of Ursulines which became gradually the centre of the Congregation. 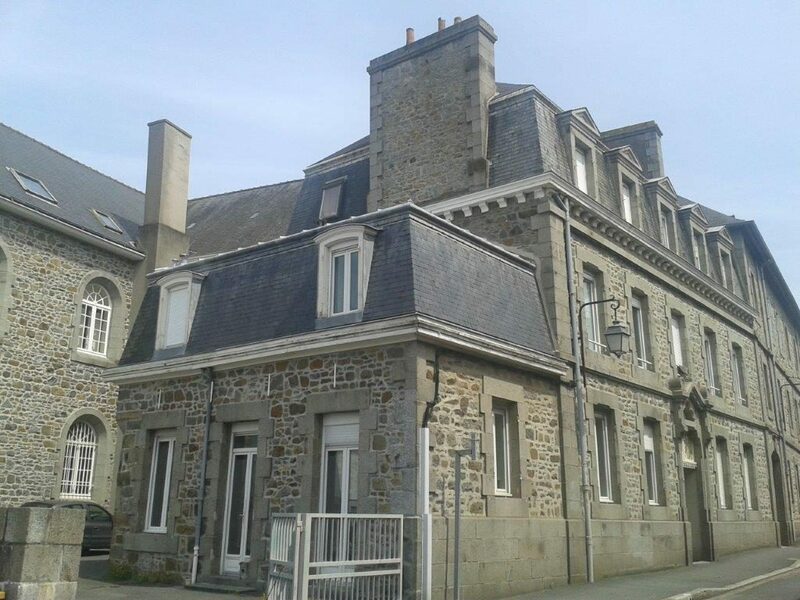 By cab, he travelled relentlessly throughout Brittany and created new schools according to the demands of the priests or the Mayors. When he returned to Ploërmel, he read his plentiful mail which waited for him. He advised his Brothers, clarified his conception of education, bothered the Prefects to demand justice or ask for subsidies, wrote to the State Ministers to claim a freedom that the new laws affected unceasingly. He was consulted by Count de Falloux before the promulgation of the law of 1850. In 1836, he was requested by the government to prepare the emancipation of the slaves. So Brothers embarked to Martinique, Guadeloupe, Senegal, Saint Pierre and Miquelon, the French Guiana. He innovated regarding agricultural, maritime or industrial education. He generalised Primary education in Brittany. At the end of his life, the Institute accounted 852 Brothers and 349 schools. On September 3rd, 1859, three Brothers left Ploërmel for the French Polynesia. They landed in Tahiti on October 17th, 1860 after a thirteen months’ journey. It was the missionaries’ last dispatch by Jean-Marie de la Mennais that died on December 26th, 1860.